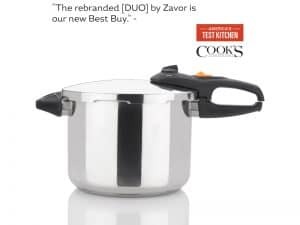 At one time or another, pressure cooker users have undoubtedly heard of the Fagor DUO Pressure Cooker. 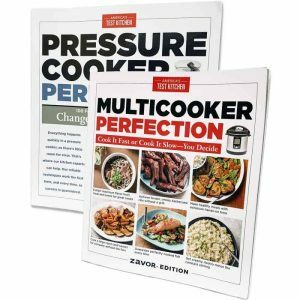 Good Housekeeping’s choice for Best of the Test stovetop pressure cooker and the choice pressure cooker for culinary professionals. Well this best-selling unit has been given an upgrade under the Zavor brand to include a couple of new features to provide an easier cooking experience. The pressure cooker, which has been used in homes for well over a half century, has always been valued for its time saving attributes. Pressure cookers cook at higher temperatures because the internal pressure they produce raises the boiling point above the standard 212°F. The higher temperature allows the cooking to be completed up to 3 times faster, reducing energy costs by about two thirds. The DUO is equipped with 2 pressure settings for LOW (8psi) and HIGH (15psi) that give it the capability to handle almost any food from the most delicate of vegetables to the toughest meats. Not only can it handle a wide array of different foods, it also retains food’s nutritional value as well as vitamins and minerals that would otherwise be lost in other cooking methods. 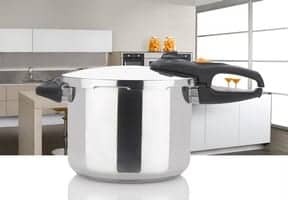 Most pressure cookers require the lid to be placed on the pot in a very precise way in order to create a proper seal for proper pressure accumulation. This often times proves difficult for some, but with the updated lid on the DUO, the lid alignment is clearly indicated with guiding arrows that show exactly where to align and close the lid. In addition to this alignment guide, once the lid is properly closed the locking mechanism will automatically click into place, ensuring that the lid is correctly locked in. Whether preparing an elaborate dinner or a quick lunch, the DUO cooks food faster and safer than the rest. 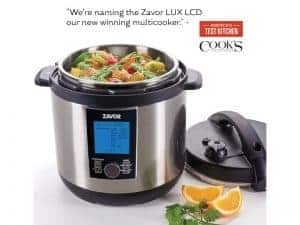 Zavor’s DUO has been praised as the top pressure cooker on the market for years and with its updated features, it has only gotten better. It is the optimal addition to any contemporary kitchen, providing a touch of elegance along with precision and efficiency. The DUO is available in 4Qt., 6Qt., 8Qt. and 10Qt sizes as well as the DUO Combi Set that includes a 4Qt. and an 8 Qt. pot.